A feast of multicultural tales and Jungian insights into the instinctual nature of women. First published three years before the print edition of Women Who Run With the Wolves made publishing history, this original audio edition quickly became an underground bestseller. 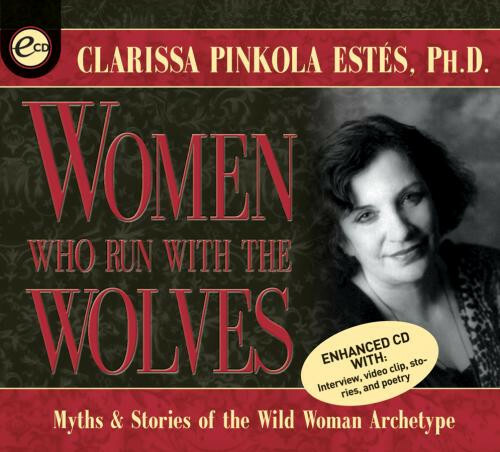 For its insights into the inner life of women, it established Dr. Clarissa Pinkola Estés as one of the most important voices of our time in the fields of Jungian psychology, myth, and women's mysteries. Drawing from her work as a psychoanalyst and cantadora ("keeper of the old stories"), Dr. Estés uses myths and folktales to illustrate how societies systematically strip away the feminine spirit. Through an exploration into the nature of the wild woman archetype, Dr. Estés helps listeners rediscover and free their own wild nature. The magical storytelling, myths, and commentary on Women Who Run With the Wolves continue to inspire a new level of self-knowledge among listeners young and old. Great audiobook with the beautiful and natural voice of the author who tells the stories and the book as if she is really talking to you!! !